An international snack food giant has announced plans to expand its warehousing operation in Elk Grove. In a press release issued by the City of Elk Grove's economic development director Darrell Doan, it was announced that Mondelēz International (NASDAQ: MDLZ) has reached an agreement to lease an additional 65,000 sq. ft. for its warehousing and distribution operation. With this addition, Mondelēz International now has 137,000 sq. ft. at its facility on Iron Point Way in south Elk Grove. “65,000 square feet of absorption is a critical step towards realizing potential new construction in Elk Grove, and it demonstrates that we are an up and coming location for warehouse and distribution uses," Doan said in the press release. The new construction Doan is referring to is the City's 1,200-acre Southeast Policy Area (SEPA) just across Highway 99 from the Mondelēz International facility. Although former Elk Grove Mayor Gary Davis promised the SEPA development area would bring 25,000 new, high-paying jobs to the city, there has been no new employment center construction plans submitted for the special planning area. The one company whom Davis and Doan had reportedly recruited in 2016 to relocate to Elk Grove and at some point to the SEPA, Fremont, Calif-based NRC Manufacturing, have not developed to date. According to the press release, the facility has 35 employees. Doan did not respond to a Monday, June 19 email seeking information regarding whether additional employees would be added as a result of the warehousing expansion. 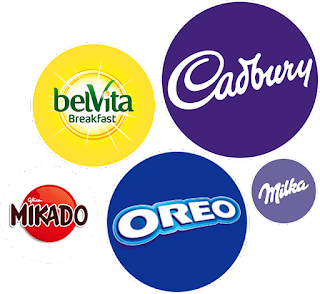 Deerfield, Ill.-based Mondelēz International, which has been operating in Elk Grove since 2014, owns a host of snack food brands including Cadbury, Nabisco, Ritz, and Triscuit. Terms of the agreement that were negotiated by Zac Sweet for property owner Buzz Oates and Ryan DeAngelis of CBRE who represented Mondelēz were not released.